- Fill in the details on the Wireless and Wireless security tabs as shown. 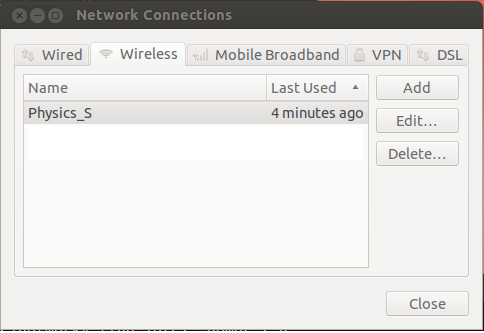 Note there is a bug in Ubuntu 12.04 and 14.04. You have to set the certificate to (None) first, save the connection. At this point it should work. 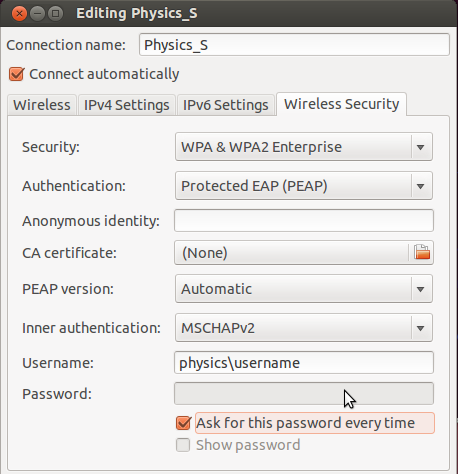 It is however better to then edit the connection again to set up the certificate. 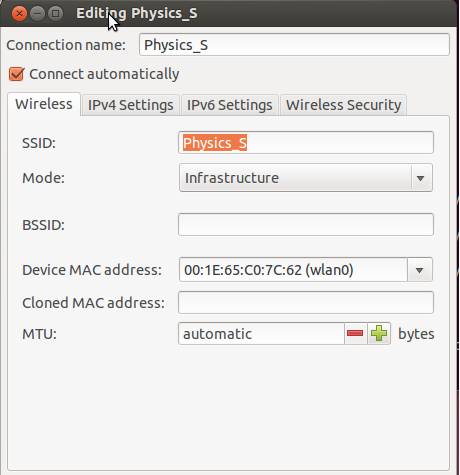 Without setting the certificate to "(none)" first, the wireless stays in the "connecting" state for a long time before timing out. The certificates are available from the digital-certificates page. NOTE THE USERNAME INCLUDES A BACKSLASH NOT A FORWARD SLASH. For security reasons, do not save the password or make available to all users.